Look there’s no getting around it; the past couple of months have been a little bit quieter on tMatM. In part, because twelve weeks of summer holiday with four children under seven is pretty hectic. But term time is pretty hectic too, and I was writing more then. So you would be forgiven for starting to wonder why my previously pretty prolific posts have slowed a little. Am I losing interest? I am not known for my steadfast commitment to many things (other than my friends and family, natch). Have I run out of things to say? As it turns out, no – I haven’t lost interest and no, I still have plenty to say. 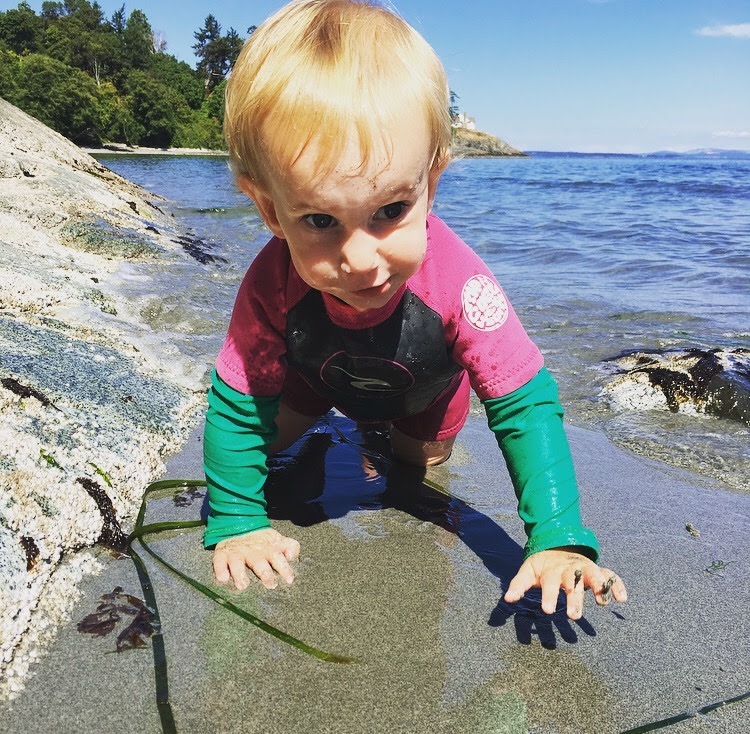 But, when I started writing this blog last year, I had a quiet little newborn. I used to write away on my phone while he peacefully nursed to sleep at night or nap time. In contrast: now, I have a crawling and nearly-walking fearless 14 month old. When I am trying to nurse him to sleep he is more likely to be throwing himself backwards than lying quietly. 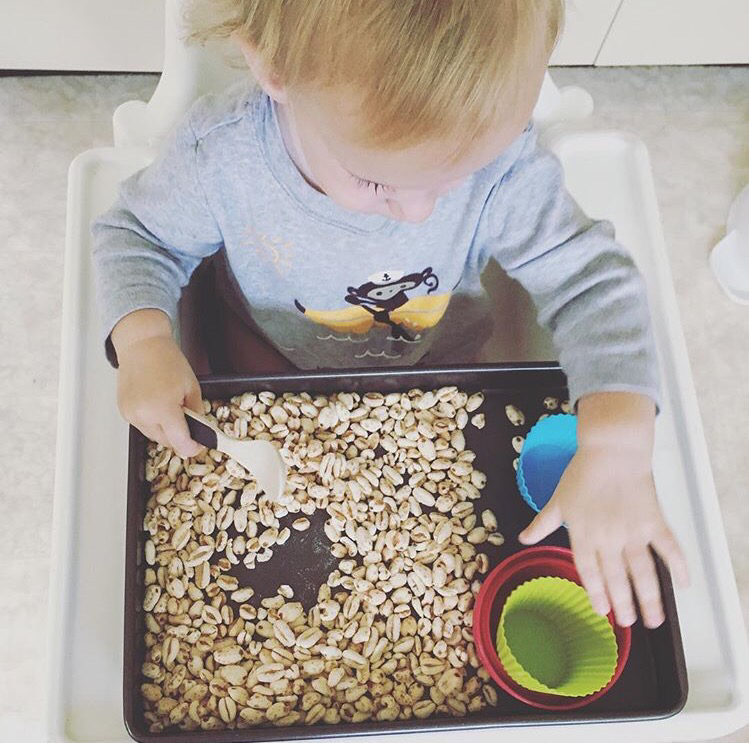 When he is playing during the day it is impossible to take your eyes off him, given that his favourite activities remain climbing (stairs, chairs, book cases, whatever) – and pulling things off shelves. I’ll cut to the chase: now I have a TODDLER. Even fourth time round, I forgot to anticipate this moment of early toddlerhood, sandwiched between peaceable baby and independently-playing toddler. 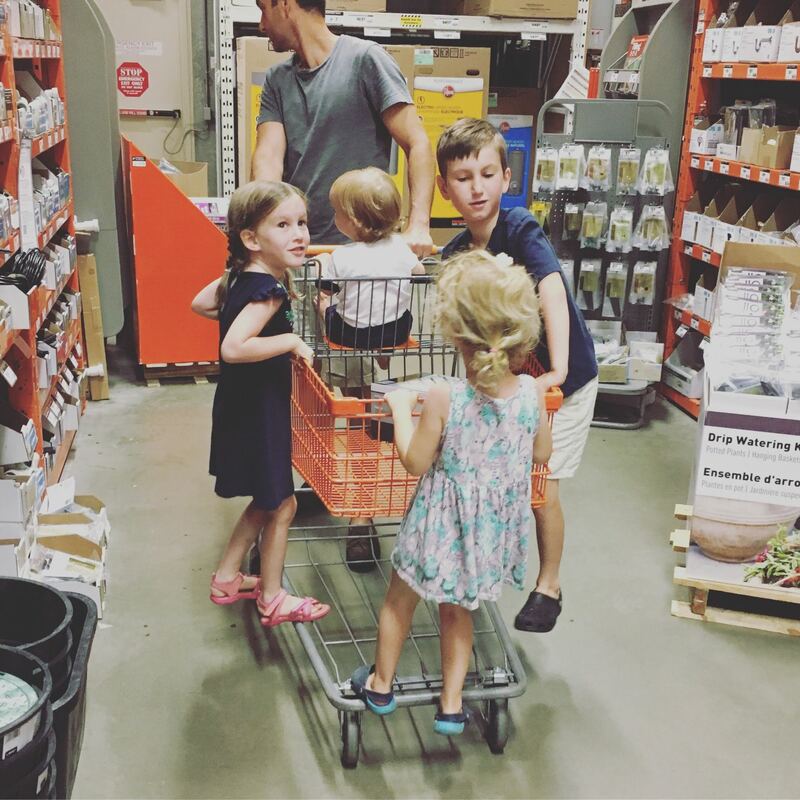 This is the apex of early years parenting and it is rewarding. beautiful. And relentless. Anyway. 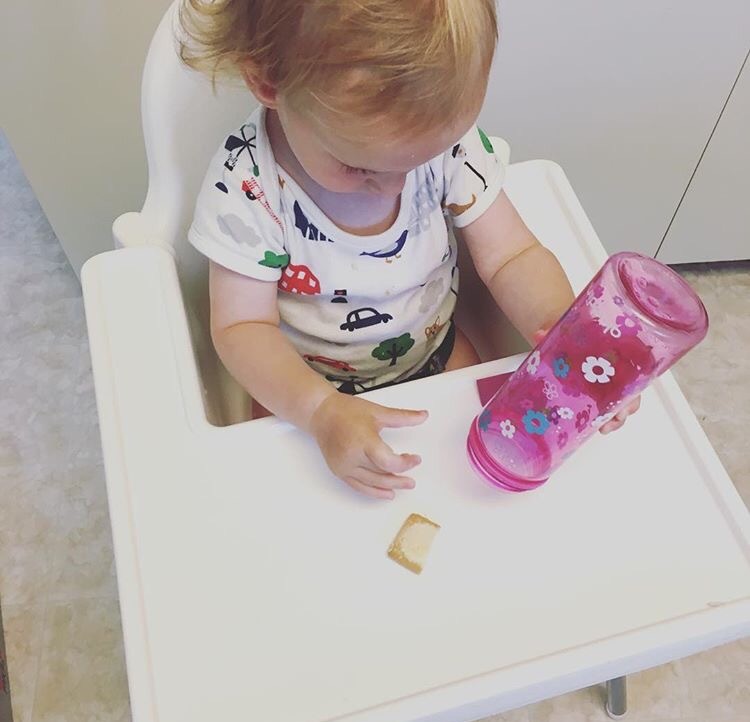 Over on Instagram… I started photographing some of the quick and easy (smug and lazy) high chair activities I have been setting up for our 14 month old to let me get some basic things achieved around here. It might not be long enough for me to write a post everyday… but at least the dishwasher is empty of yesterday’s supper things and I am dressed in something other than leggings and my husband’s tshirt. 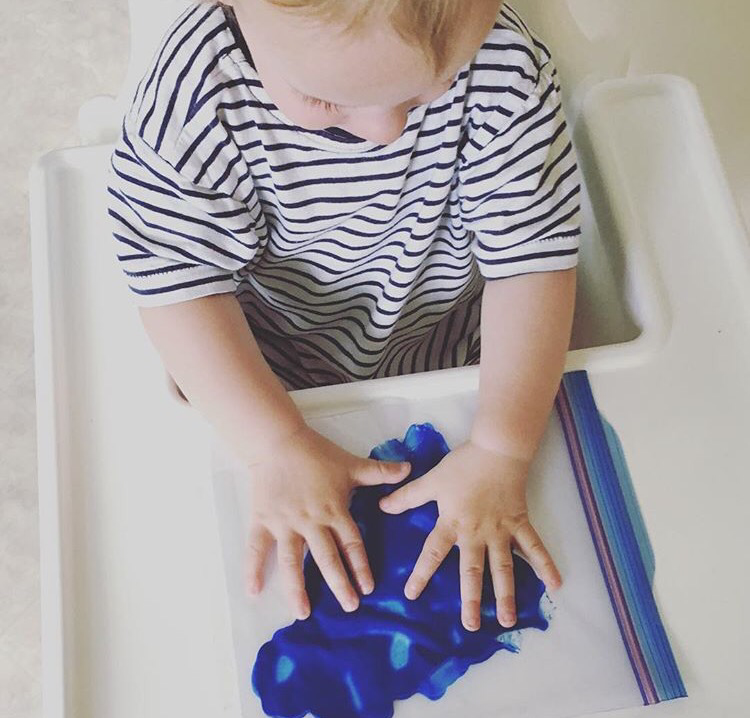 A splodge of paint in a ziplock bag sealed and taped to his highchair tray for him to squeeze around and trace patterns in gave me 15minutes of happy toddler while order was restored. 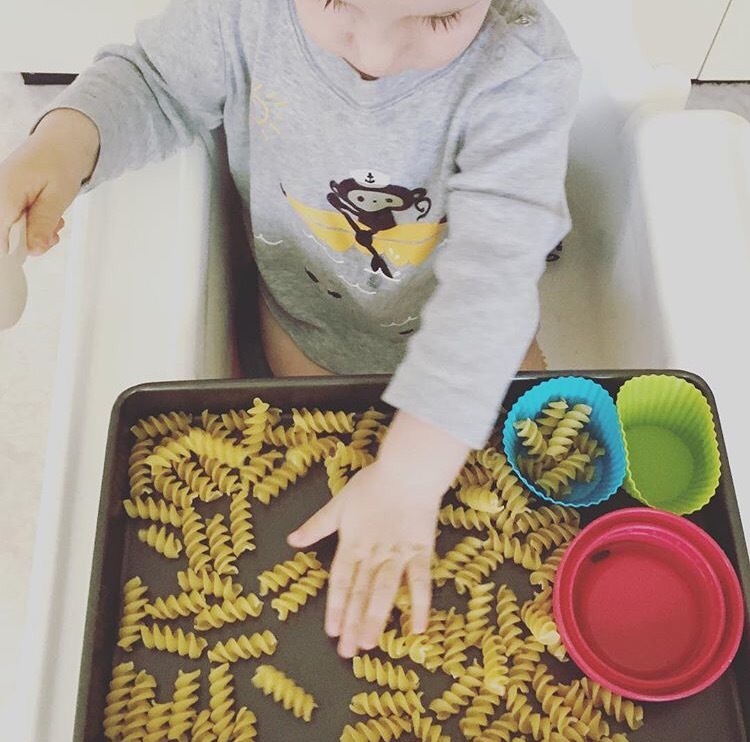 One of the easiest mess-free activities for a little one. the toddler crystal maze version. Our 13 month old found this hilarious and it kept him busy for ages, in various forms. To start, I put his snack into a tall kids drink container, with the lid very lightly on. He enjoyed peeking in, shaking it around, and finally removed the lid. He tipped out the snack – success! And as proof he was having fun and not wondering why his mother hadn’t just given him his snack, he put the half eaten snack back in the bottle and tipped it out again, on repeat. We extended the game with a variety of objects in the container – blueberries, a spoon, a duplo brick, a paw patrol figurine (the 3 year old’s contribution). Finally I put a soft fabric bib into the bottle and he enjoyed pulling it out and putting it back in, much like he wants to sit with the packet of wipes and pull them all out. Time spent happy while I cleaned the kitchen counters and floor: 20minutes. Another day, another dishwasher load to get through with a less than enthusiastic toddler assistant. 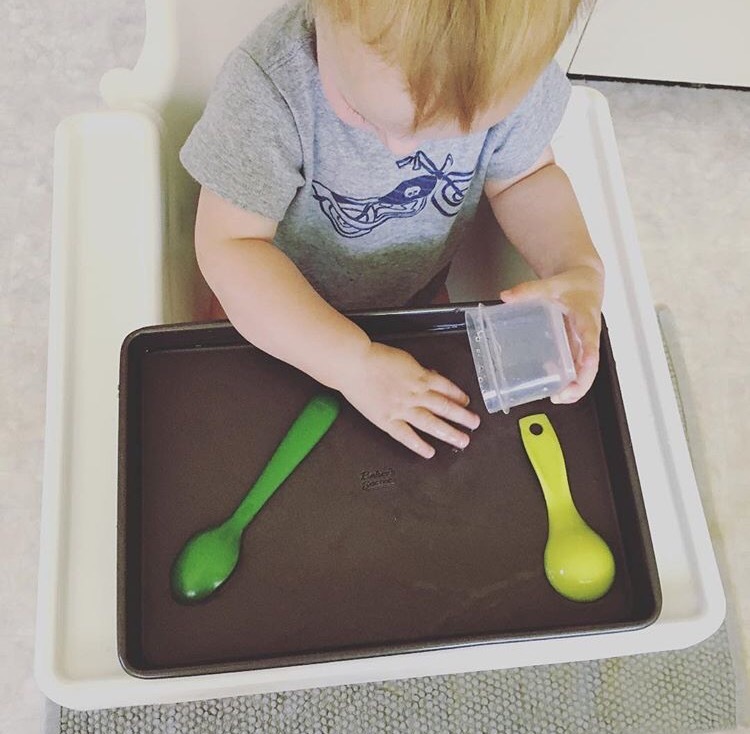 This afternoon’s 15minutes with both hands to myself came courtesy of a high chair, bath mat, baking tray filled with water and an assortment of spoons and little pots. He was totally engrossed, and I was happy for him to drink his spooned up water, unlike his daily efforts to drink bath water 😝so despite a fairly sodden floor, I’d call this one a success. Need more smug and lazy highchair activities? Here are another five!